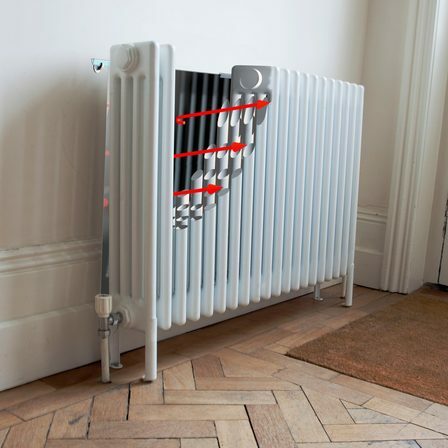 Radflek - Energy Saving Radiator Reflectors - What is Radflek? 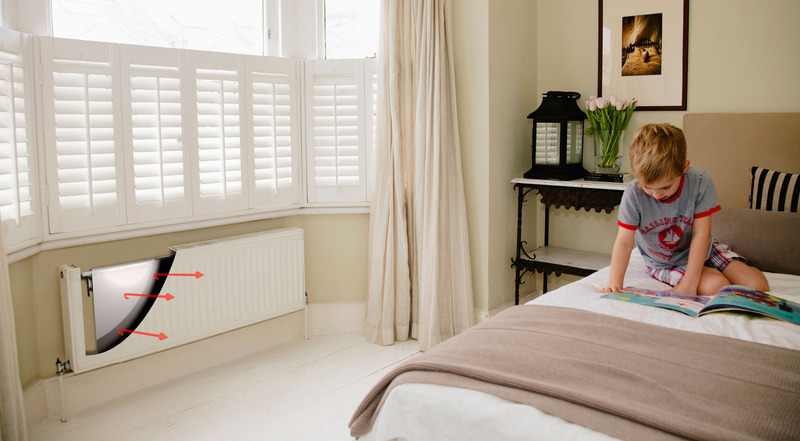 No need for removal of radiators, professional installers, or any sticking to the wall – Radflek just hangs from the wall brackets behind the radiator. Disappears from view once installed. 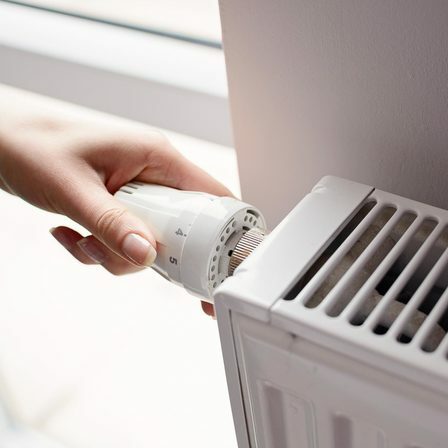 Installation is quick and simple, only taking minutes - anyone can do it! Both windows have radiators on the wall below them. 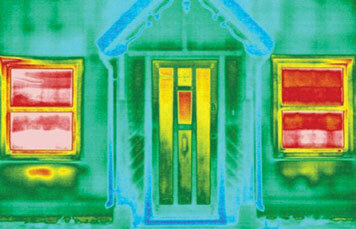 The right-hand window's radiator is fitted with Radflek, which has reduced heat loss through the wall by 45%. This can be seen by the more muted colour below that window compared with below the left-hand window.